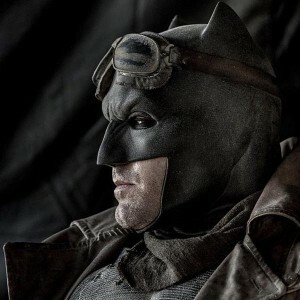 So, if you’ve been online today, you probably know by now that the new trailer for Batman v Superman: Dawn of Justice – – the most happy-go-lucky movie of all time – – has arrived, as Warner Bros and DC Comics unveiled it to attendees at the San Diego Comic Con this weekend. If you haven’t been online today… how are you here? Anyway, judging by the reaction, people are really excited for this movie, which is okay, I guess, though I personally think it looks like, well, it looks exactly like how I expected a sequel to Man of Steel would look. But the most alarming thing to me, as a fan of comic books and storytelling IN GENERAL, is that Superman’s parents on earth are just absolute garbage people. I dunno, I think there’s something to be said for acknowledging and encouraging heroism in superHERO movies, especially when your only job as a character is to INSPIRE THE HERO TO BE GOOD. Using Ma and Pa Kent to teach Superman not to trust humans is a very weird, very unnecessary decision on the part of the screenwriters. 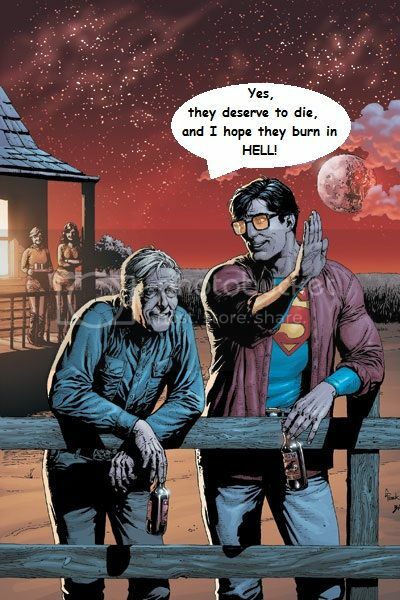 The Kents are supposed to tie him to humanity. No wonder the guy levels half of a city without so much as a second thought – – his parents are the worst. Anyway, Jim Doom is going to pop in here soon with his thoughts on the trailer, so I don’t want to say much more. It is just a trailer, and things could be completely different by the time it hits screens, but I don’t hold out a lot of “S” for this movie.